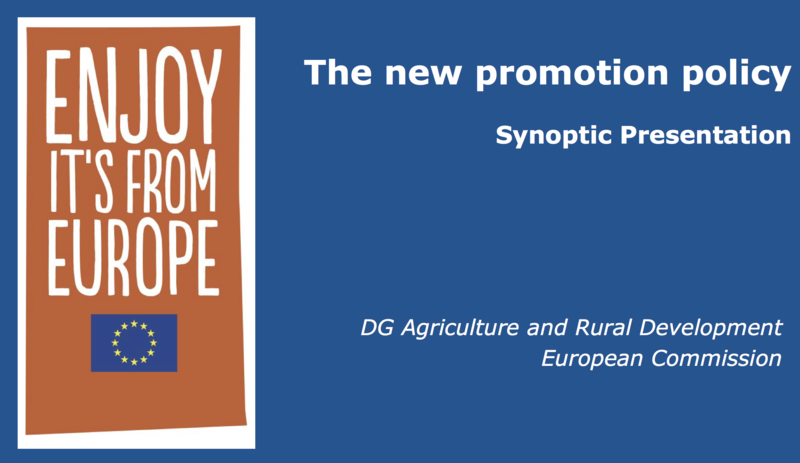 The European Commission has had a promotion policy in place for many years. Determined to maintain competitiveness while meeting the sector’s needs both within European and global markets, the Commission revised the framework in 2014. Regulation (EU) 1144/2014 introduces changes in many areas, from the scope of measures to the amount of funding available. 1) These measures will be able to cover a larger selection of agricultural products as well as food products (e.g. chocolate) with certain flexibility to mention brands and origin of products. Facilitating management of multi programmes via a one-stop shop at the Commission (executive agency) to facilitate the implementation and expand such programmes offering high European added value. The Commission’s Implementing Regulation (EU) 2015/1831 containing rules on the visibility of origin and brands, the management of simple programmes, payments and controls. Guidance on the application of the competitive procedure for the selection of implementing bodies in case of simple programmes. Guidance on competitive procedure: BG | CS | DA | DE | ET | EL | ES | FR | HR | IT | LV | LT | HU | MT | NL | PL | PT | RO | SK | FI (PDFs versions). 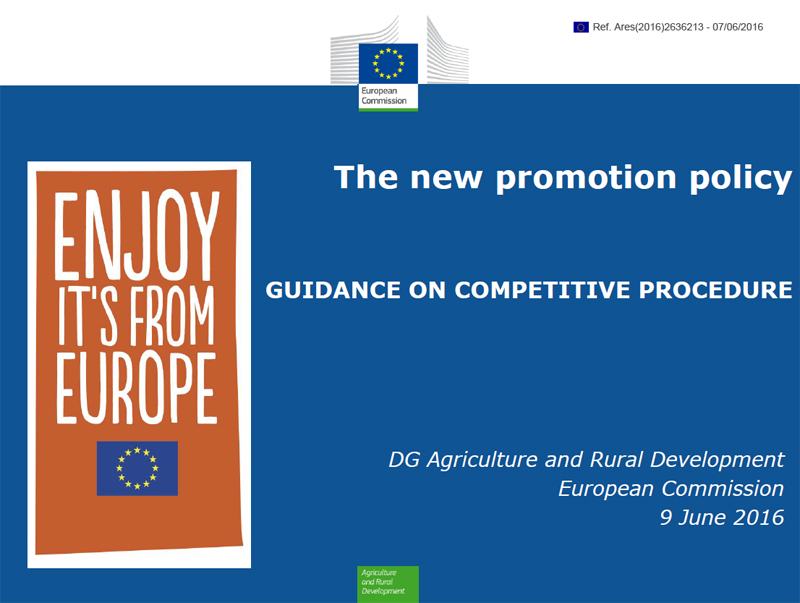 A presentation of the new promotion policy by DG Agriculture and Rural Developpement of the European Commission.